A hearty meal. A heavy coat. A warm bed. Your gift today will meet these practical needs for our hungry and homeless neighbors in Lexington … and give them hope. Hope for lasting freedom from addiction. Hope for a job that pays the bills. Hope for a home of their own. Most importantly, your gift opens the door for true and lasting hope in Jesus Christ. Because of your support, those who are hurting will receive prayer, those who are lost will receive Godly counsel, and those who feel hopeless will hear the Good News. We depend on the support of friends and neighbors like you to carry out this ministry. Thank you for your compassion for our neighbors in need and for investing in their lives today and … for eternity. When Brian was at his lowest point, he found the Lexington Rescue Mission. Thanks to the support of our donors, Brian received job training and placement as well as Biblical counseling and mentorship that helped him get back on his feet. Today, he is working and going to college in Lexington, and he is grateful Lexington Rescue Mission was there when he needed a second chance at life. Your donation will be put to work immediately to feed, clothe, house, and care for our neighbors in need in Lexington. Donors may choose to designate specifically how they would like their gift used; otherwise, we will use it where it is needed most. Yes! We need volunteers to help carry out the ministry of the Mission, and we need people to commit to praying for those we serve. We also need advocates in the community who will engage their schools, workplaces, churches, and civic groups in the work of the Lexington Rescue Mission. Do you have financial reports? You can review our financial statements, which are audited annually by Kring, Ray, Foley, etc. here, and our IRS Form 990 here. Our 2017 Annual Report is also available here. Finally, here is a supplemental financial note that provides additional information. 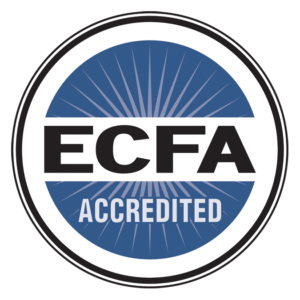 We are committed to the highest standards of fiscal transparency, and, as such, we are accredited by the Evangelical Council of Financial Accountability and Citygate Network. 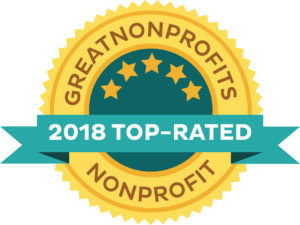 We are also recognized by the Guidestar Exchange with the Platinum Seal and were early adopters of GoodGiving.net. Lexington Rescue Mission is a 501(c)(3) organization, so your donation is tax-deductible to fullest extent allowed by law. When you make a donation to the Mission, we will send you a receipt in the mail for your tax purposes. We are committed to our donors’ privacy. The personal information you provide through the online giving process is for the purpose of processing your donation and maintaining contact with you. The Lexington Rescue Mission employs third party vendors (SafeSave Payments and Mercury Payments), to securely process your gifts and ensure your payments are correctly credited to your account. SafeSave Payments and Mercury Payments maintain full compliance with the Payment Card Industry Data Security Standard (PCI DSS). Lexington Rescue Mission does not rent, sell, or trade your information, and we only share your information with those employed to raise money for the Lexington Rescue Mission. If at any time you wish to review the personal information collected, request corrections, request that your personal information not be shared outside the organization or be removed from our mailing list, please call Kim Livesay at (859) 381-9600, ext. 227, or e-mail kim@lexingtonrescue.org. Can I come visit the Mission? We would love to have you come visit our Outreach Center to see first-hand the impact your gifts are making. Please click here for upcoming tour dates, and be sure to reserve your spot today! Of course! Checks may be mailed to the Lexington Rescue Mission, P.O. Box 1050, Lexington, KY 40588.